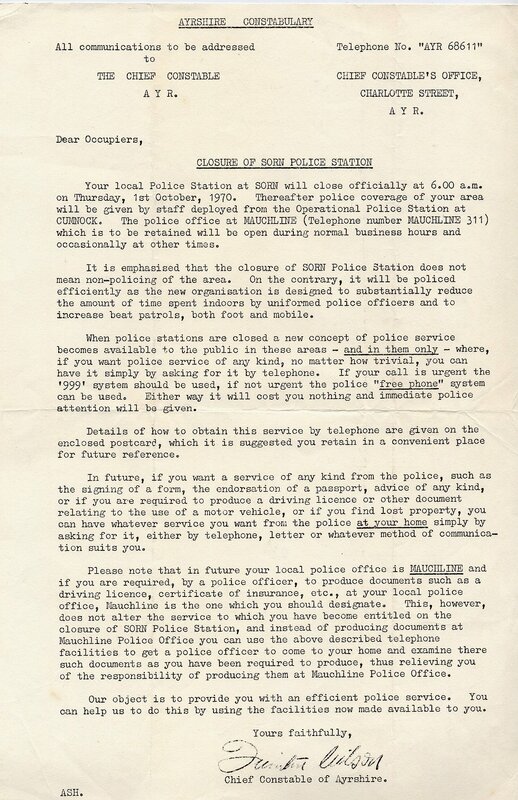 This letter was sent out to Sorn residents about the closure of the local "Polis" Office in 1970. At that time it had been run from the office at 1 Fir Park by Davie Black, and McIlraith before that. 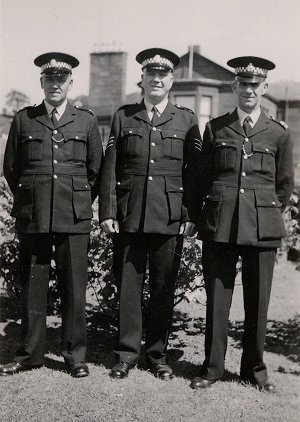 John Black was the local Bobby for some time before that, and is pictured here on the right, with PC Brown of Catrine possibly (?? ) on the left. Sergent unknown so far. The office was at 16 Woodlands Road at one time, and even before that in one the houses to the East of the Sorn Inn, where the Bowling Green is now. 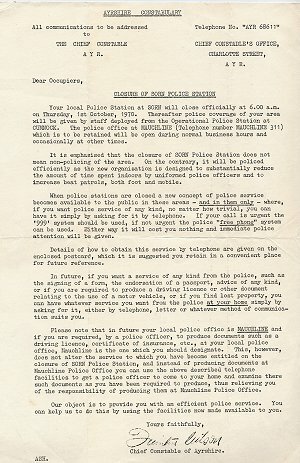 I dare say the local 'Polis' would have known who was who back in those days, and speak to local folks in a more friendly manner, unlike the modern day faceless wonders who are more often than not extremely anti social, rarely get out their cars, and seem to treat the public more with contempt than with common basic manners. And of course the reverse is true. When last did any of them take the time to stop and chat in the street?? 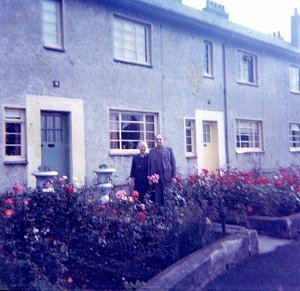 16 Woodlands Road, and John Black is pictured here outside the "office"